While posting comments in a Bristol Lodekka-related Facebook group I mentioned a Bus Conductors’ Rule Book that I wrote several years ago and a few people have asked if they can have a copy. It is for their benefit that this is posted here. This was written by me in 2009 specifically for Quantock Motor Services and with their Service 400 ‘Exmoor Explorer’ in mind. The Rule Book is based on traditional practice but is obviously tailored towards the needs of QMS at that time. Rule Books from other heritage operators (and indeed the major operators in years gone by) will have been significantly different. 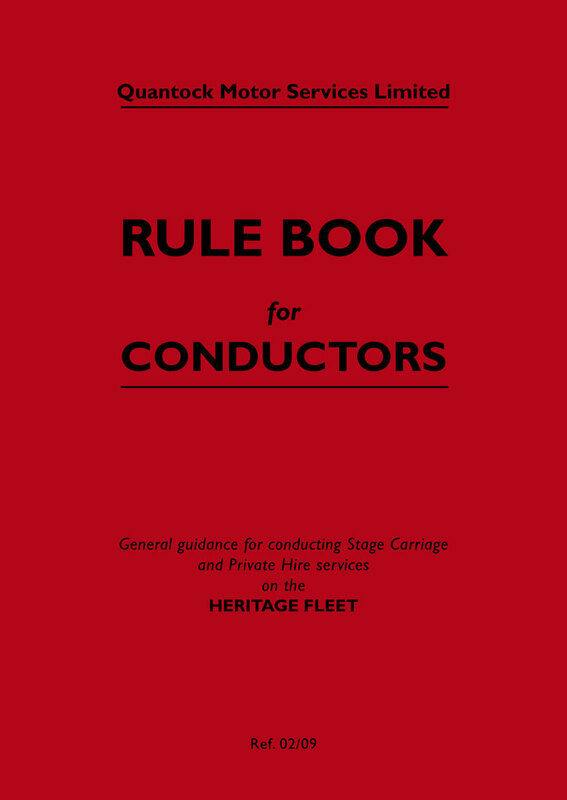 A PDF copy of the Conductors’ Rule Book may be downloaded here. Well, what a busy few weeks it’s been! 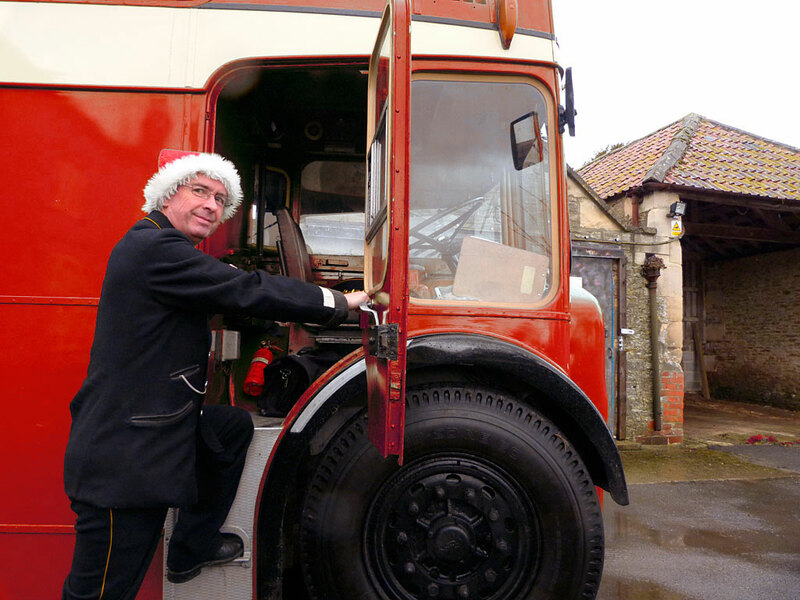 For a change I haven’t been busy ‘on the buses’, just getting ready for the festive season. Cards, presents, Carol Services, visiting friends and family, and so on. I hope that some of you, like me, will find a few moments to ponder on the child in the manger, who grew up to be the man on the cross. When I get a moment (is that really likely?) I plan to write a review of 2014, which has turned out to be a vintage year, in more ways than one! But now, in honour of the season, I’ve given Hants & Dorset 1220 (Bristol FLF DEL893C) a quick repaint into Tilling Red. This was prompted by a comment on Facebook, where I also posted this photo in its original (green) form. I’m sending out a plea on behalf of the operator of the Leyland PD2/3 that I’ve been driving regularly this year. 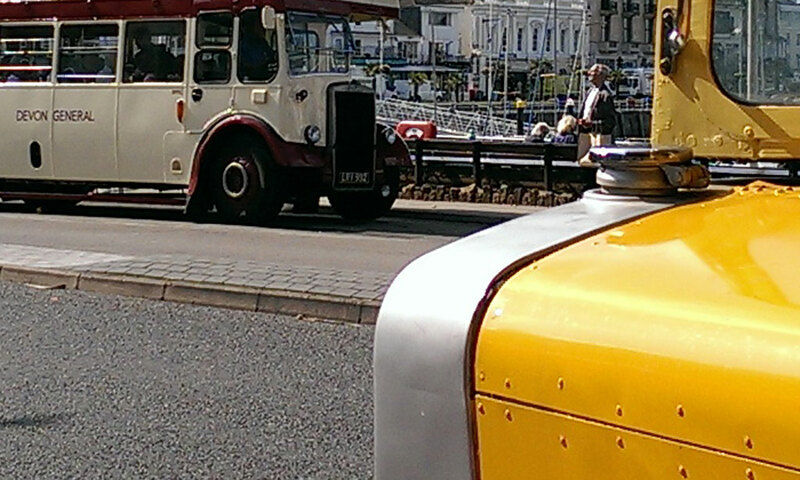 It joined the English Riviera Sightseeing Tours fleet in 2013 and, ever since I first saw it, I thought it looked strangely incomplete without the customary nut guard rings on the front wheels. To my mind, the poor old girl looks a bit undressed without her rings! As far as I can tell, she retained her nut guard rings while she was with the Cobham Bus Museum but appears to have lost them during her stay with the Blackman collection in Halifax. By the time she reached Ensign in Purfleet the rings were missing. Locating a replacement pair is one of my winter projects, although if the original pair showed up, that would be wonderful! I have already contacted Yorkshire Heritage Bus Company (the Blackman family’s business) but I’m not holding my breath. Those who read this blog regularly will know that Stagecoach introduced a very similar open top PD2 this summer on which the nut guard rings are present. This made me determined to get a pair refitted to our bus! 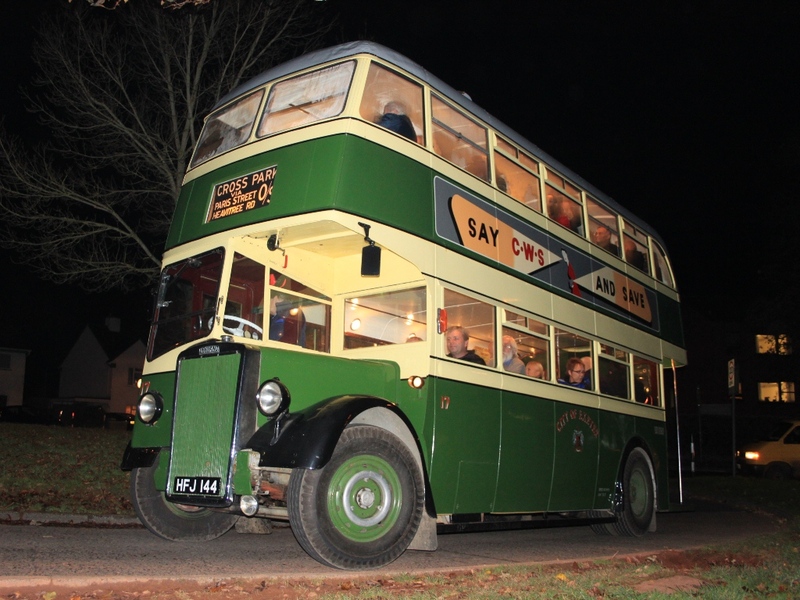 Here’s a photo of a very similar bus which I saw at the Exeter Twilight Bus Evening in 2012. This was taken by Geof Sheppard (reproduced here under Creative Commons licence) and shows the nut guard ring fitted to the nearside front wheel very well. 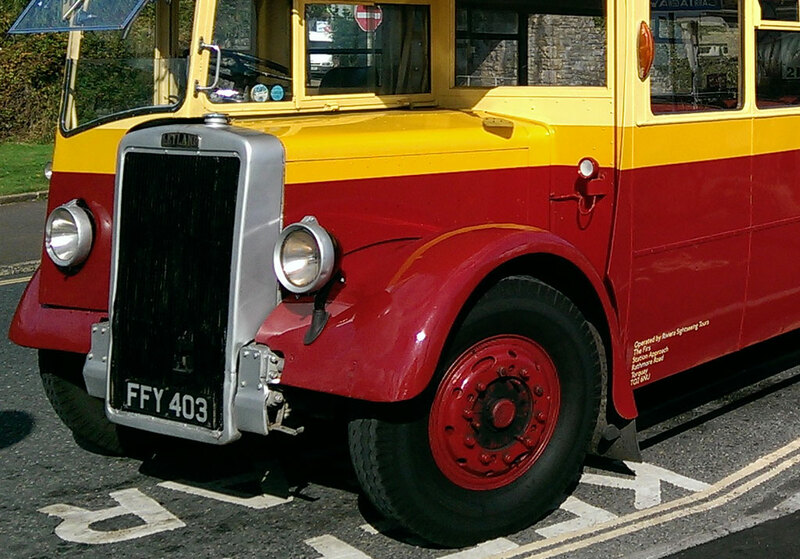 The bus had just been restored and, being a 1948 Leyland PD2 with a Leyland body, is almost identical to our ex-Southport one. Except that it has a roof, green paint and nut rings. So folks, it’s over to you. Do you have a pair of nut guard rings lurking at the back of your garage? No? Perhaps you know where a pair could be obtained. In which case, please leave a comment and I’ll follow it up. It would be fantastic to be able to fit a pair of rings to FFY403. Not only would it complete her ‘look’, it would make it much easier to climb into her cab as the offside ring doubles up as a useful step! 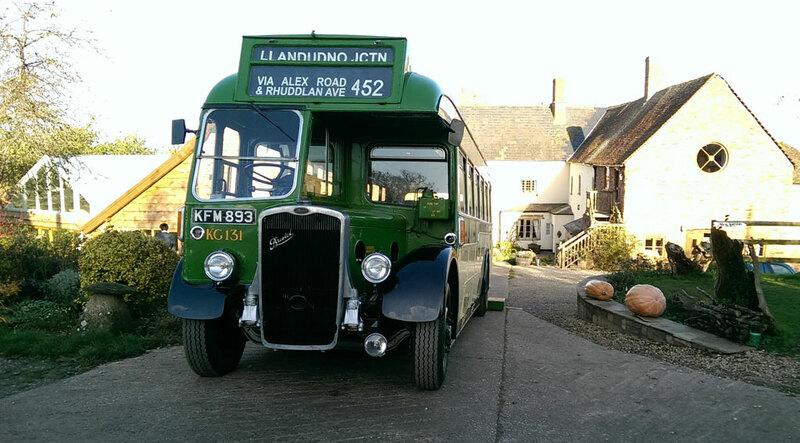 In other news, my final wedding duty for Crosville recently found me driving 1950 Bristol L5G KFM893 down through the lanes near Bridgwater to transport a wedding party from Huntstile Organic Farm to the Parish Church of St Edward in nearby Goathurst.